Always fiery. ALWAYS. Since the days of Shana. She’s a tsundere too, right? The right one is a closet pervert (jk, watch it/read the manga and you will understand) and both have tsun-abilities. Speaking strictly, Julis is a wizard-type as well. Why do you post half of the things we talk about/post in the skypechat on you blog? And wait.. Why do I as you this here rather than in skype?….. ASK not “as”. Damn i guess i need a new keyboard. Reading Rakudai, I usually ended wanting to massacre the MC’s family except for his little sister. Ep4 is it. I wonder. I generally stopped reading if the mc is too dense and the girl is too obvius. Too dreamy in motion that i embarassed by my self telling myself what the hell is i’m watching here. I guess youthful drama is just a poison to everyone who has upgraded from boy/girl lives. Don’t worry, MC’s not dense in Rakudai, just new in the dating scene (same with his GF), you’ll get it when you get pass uh… Episode 3-4? Lol yeah it’s basically the same :)) Though later the execution of the story will be branched/different but still indeed it’s similar on the initial premise. Taimadou is better than these two by the way, a lot darker and with crazy characters. Tbh there are a few other ones with an almost identical premise. Besides the so many cliches I’ll have to watch the 2nd episode to see if I like it, I prefer the one where people are affected by magic then go to the mirror world of magic. That, or the one where the guy is found by himself and has demon-lord like powers looking for his childhood friend. In Gakuen Toshi the MC’s magic power is sealed while in Rakudai the MC’s magic power is too small. And Rakudai is a romance not a harem. 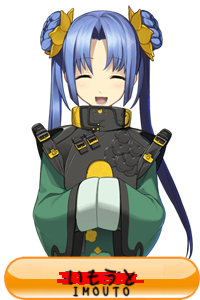 And like One Turn Kill of the Dark Partisan and like Blade Dance of Elementalists, and like Unlimited Fafnir, and many others… All of them are about MC who’s normally weak but has some kind of special power and all of them will have “accidental pervert” startings in academies. Bringing up a comparison like it’s a surprising thing just shows you just don’t read enough of these novels. These high-school harem stories with sword fights and magic are basically reskins of one another. I wonder why people actually watch them. The heroines have as much character and personality as a stone. It’s just so bad and cringe-worthy. Actually there’s more than that. A lot ln that has smiliar if not identical plot from prolog,genre or even the characters from bunko to the point that it’s called junko. smiliar theme and genre just make me realize that what i read truly light novel that has childish story with many illogical plot and plotholes. intended for highschooler or younger i guess. only a handful of them now looks good and usually it’s underrated. one of them is rakuin no monshou. No matter how generic it looked, god dang, rakudai is steamy~ weeeeeee! Too much steam will hurt your eyes. Too many blush/dere dere will make you diabetic. And surely you will got tired of it soon. Especially if you following ln in advance. The fact that they air on the same day within an hour of each other makes it even better. Add Magika no Kenshi to shoukan maou to that. I think only thing different is that the hero doesnt see heroine changing underwear. I dunno if ill bother with Asterisk. Read 1st book and was disappointed. Oh, I loved Asterisk. It’s nothing special, but the MC was the right balance of ‘shy’ and ‘confident’ for me. Just like Seirei Tsukai and Vanadis. I think releasing these two anime series in the same season was a stupid idea, the settings are practical carbon copies. Also the whole school battle harem setting is getting old, though it was good the first dozen times. I wish they could come up with something new. Yeah I remember talking about this exact same topic when their mangas were being scanlated. The first episodes are practially the same! That being said, Rakudai is waaaaaay better in the characters deparment. Stella and Ikki are superior to Julius and Ayato in every way imo. From the way their relationship developes to Stella’s superior PLOTS. Also Rakudai is more of a pure romance and not mired by aggravating harem hijinks. No dense hero/heroine here! Granted Asterisk does seem to have a little bit more world building and the like. It also has more quantity if you enjoy Infinite Stratos styke quantity over quality lolololol pls. I preferred Asterisk. The whole battle city with 6 areas things was fun, as was how they got tangled up with the other schools. I guess it’s a difference between what you’re looking for. Rakudai has superior character dynamics, while Asterisk has better world building. It depends what I’m looking for at the time. It’s like how I don’t watch Die Hard for drama and plot twists. Both have same initial premise but rakudai is not a harem and it does romance well as to asterisk. .. yeah you might like the romance department on rakudai sheeprabbit sama. The plot has development of characters to a good extent and the characters are by no means cliche in rakudai, if you define a certain trope but it hardly hurts it. Think of rokka of its different direction. Also the eechi is very ummmm…. how would I say this mature. So overall I like rakudai more. Lol… you actually made a point that I did not notice in this work. Clothes don’t get damaged in rakudai for fanservice. Hopefully that stays. Haven’t “Kenkyo Kenjitsu” already been translated by another translator before? no. that was kenjitsu kenkyo. this cliche start again….i though i liked rakudai, but it was just a delayed cliche. I know two other series that can be added to the picture. I still don’t know why they ran both of them in the same season. What’s better than watching one episode of something, and then watching the very same episode right after? So we’re waiting for behemut. to reuse the cliche. Now that I think about it, there’s one called Saijaku that’s pretty cliche too… Is the anime industry lacking in creativity lately? Cause in Saijaku, it’s pretty similar or that this plot is pretty popular. Well, all three stories are rich in plot and other stuff but the beginning is pretty similar… And that really isn’t good. There’s generally been one or two of these kinds of shows a season. If it’s done well, it makes lots of money. If not, meh. It works as an advertisement for the novels. It would have been better had they been released at separate dates. Even the opening songs were produced by the same company. I much preferred the Asterisk opening though. By the same producers and singer as the kancolle ED. Seriously? Wow. That clears a few misunderstandings. Yeah, same singer and producers for Asterisk OP and Kancolle ED. Rakudai was some other dudes. Same company tho. Hahaha, seriously? They both got an anime at the same time? That’s pretty crazy. I’ll probably stick Rakudai on my backlog sometime though because it was actually pretty decent from I could find, Stella is cute and has quite a few endearing points to her, and the story isn’t a harem story. Gakuen Toshi Asterisk started stinking more and more each volume with chuuni wish fulfillment crap so I dropped that. Only difference is Ikki has balls to strip in exchange. I’m not caught up on either of them but Rakudai establishes the romance pretty early. Honestly the only two couples I enjoyed after they got together are Maid Sama and Senjou/Araragi. The trill is in the chase after that most get boring or annoying.